Evernote is great for remembering, collecting and organizing information. 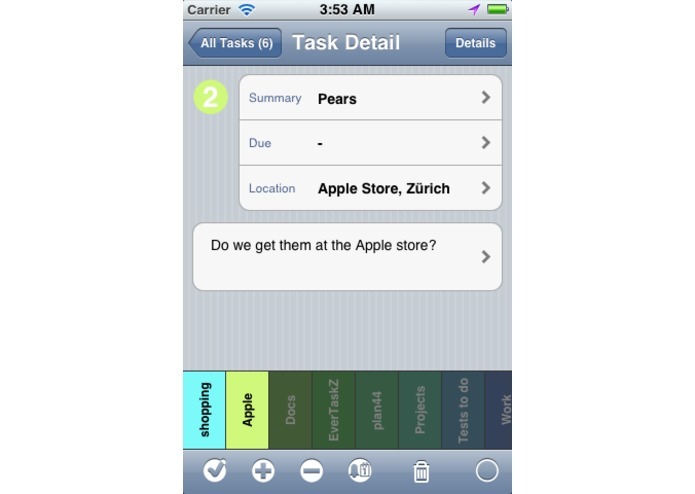 EverTaskZ builds on this, providing a full featured tasks manager for iOS (iPhone and iPad). With EverTaskZ, notes can easily become tasks with status, prioritiy, due date, alarm and even location based reminders, simply by putting them into the tasks notebook. And from any task, the full note with rich content is only a single tap away - EverTaskZ directly opens the note in the Evernote app for iOS. 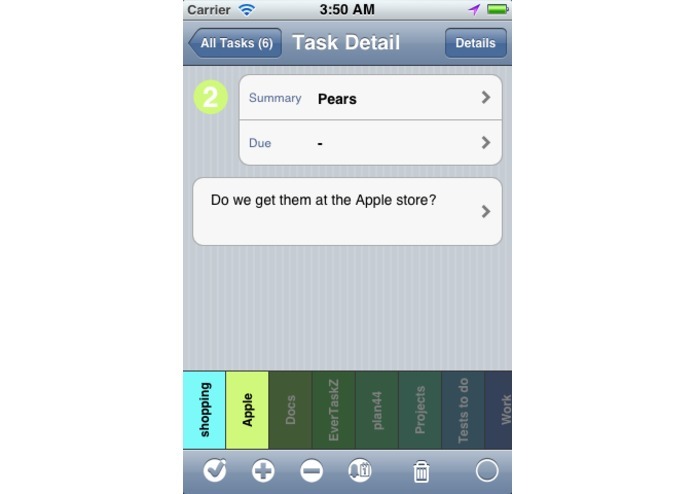 EverTaskZ makes full use of Evernote's hierarchic tags, so you can use the same categories for tasks and notes. 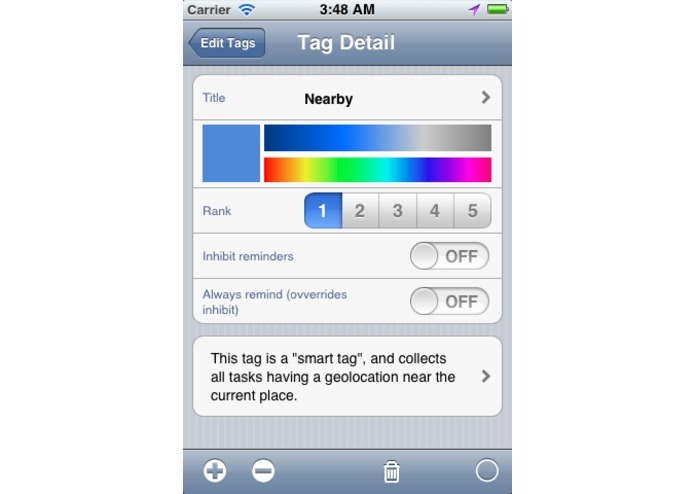 In addition, EverTasks adds color and location to the tags, and has a unique tag bar which allows very quick and easy focusing. As EverTaskZ is fully geolocation aware, it has a smart tag, which always lists the tasks relevant for the current location. 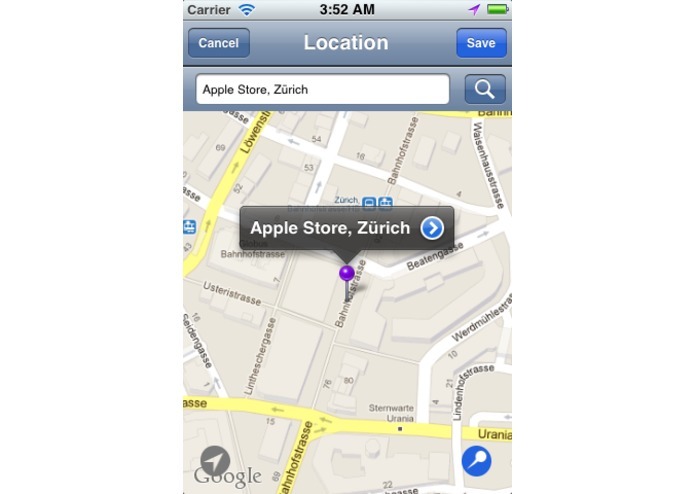 Furthermore, location based alarms can be set to remind you when you are coming near or leaving a specified location. Regular timed alarms are possible as well. EverTaskZ is based on the existing task manager of the Tasks+Cal+Sync app, which is a tasks and calendar app for SyncML based collaboration services.